^ Hawting, Gerald R. The first dynasty of Islam: The Umayyad Caliphate AD 661-750. Routledge. 2000. ISBN 0-415-24073-5. See Google book search. ^ Sufism in Islam. Mac.abc.se. [2012-08-13]. （原始内容存档于2012-04-17）. 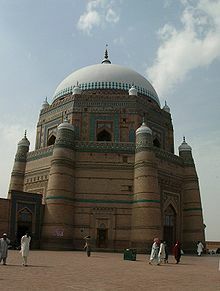 ^ Origin of sufism - Qadiri. 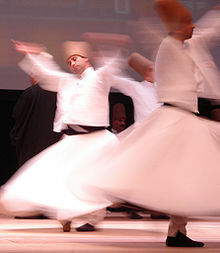 Sufi Way. [2012-08-13]. ^ Hodgson, Marshall G.S. The Venture of Islam, Vol 1: The Classical Age of Islam. Chicago and London: University of Chicago Press. 1958: 394. ^ The most recent version of the Risâla is the translation of Alexander Knysh, Al-Qushayri's Epistle on Sufism: Al-risala Al-qushayriyya Fi 'ilm Al-tasawwuf (ISBN 978-1-85964-186-6). Earlier translations include a partial version by Rabia Terri Harris (Sufi Book of Spiritual Ascent) and complete versions by Harris, and Barbara R. Von Schlegell. ^ Dina Le Gall, A Culture of Sufism: Naqshbandis in the Ottoman World, 1450-1700 , ISBN 978-0-7914-6245-4. ^ Nusrat Fateh Ali Khan : National Geographic World Music. 2013-03-20 [2018-10-09]. ^ Jullundhry, Qur'anic Exegesis, pg. 55.